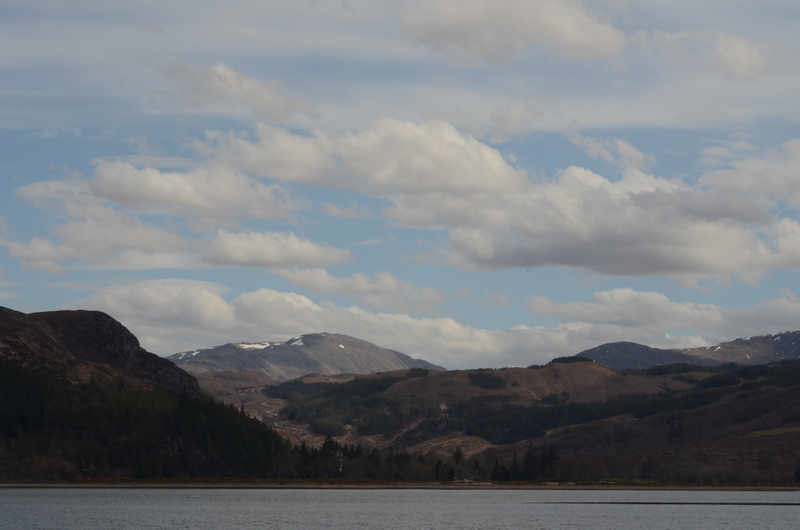 We’ve just come back from a fantastic wee tour: 4 gigs in 3 days, covering 760 miles. Phew! And the weather was glorious! 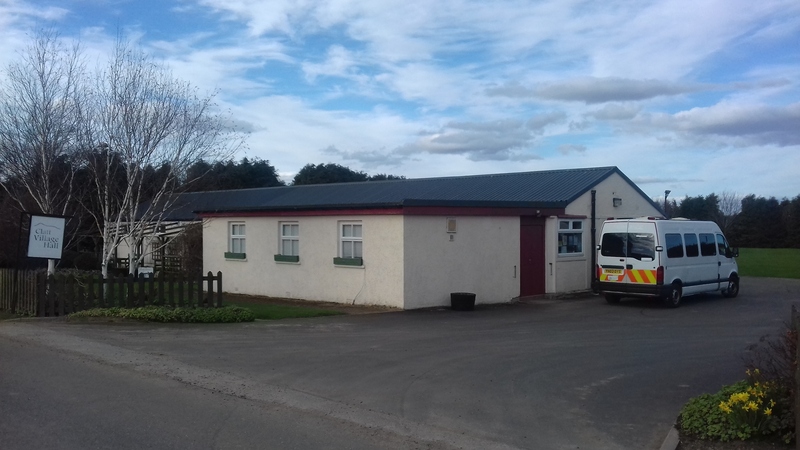 We started with a concert in Clatt Village Hall near Huntly, Aberdeenshire with a full house! We received a great reception from the audience and met some very nice people. 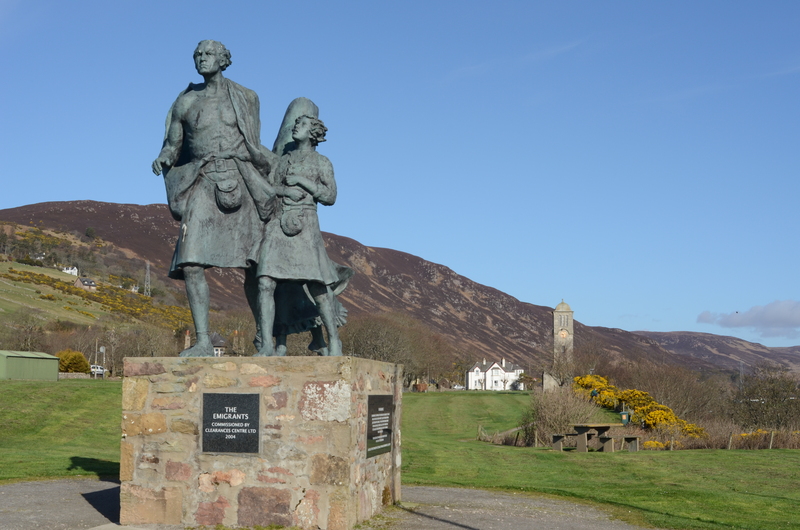 Not least, Brian who was a 4th generation farmer and spoke Doric (a local language). It was very interesting to talk to him (and he’s a lovely guy). 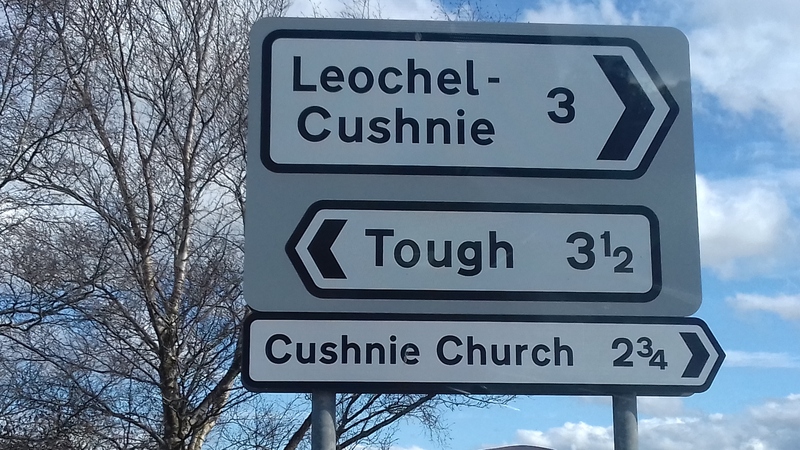 A road sign in Aberdeenshire. 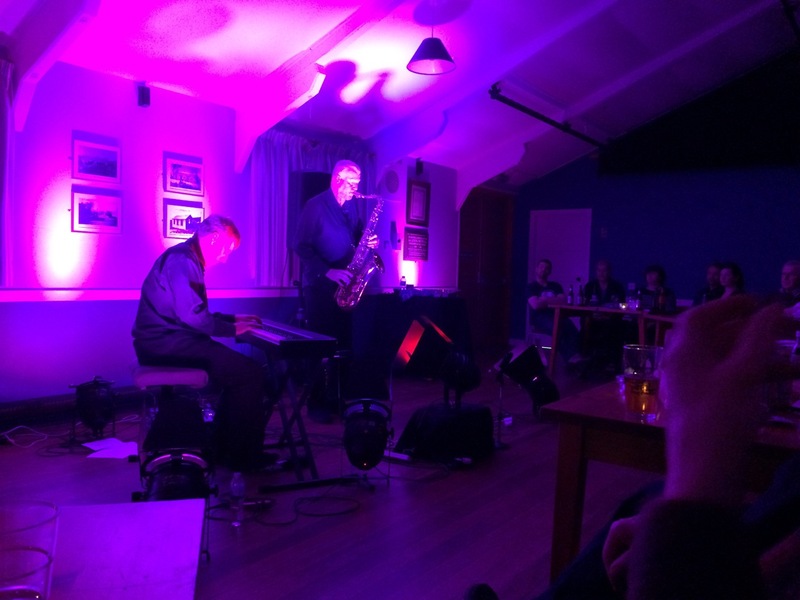 This might be a difficult crowd to play to…..?! 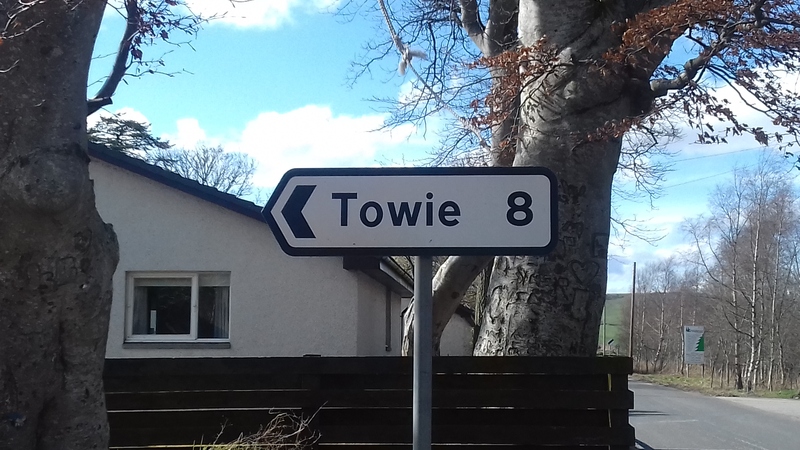 “The Only Way Is Essex”…..in Aberdeenshire! 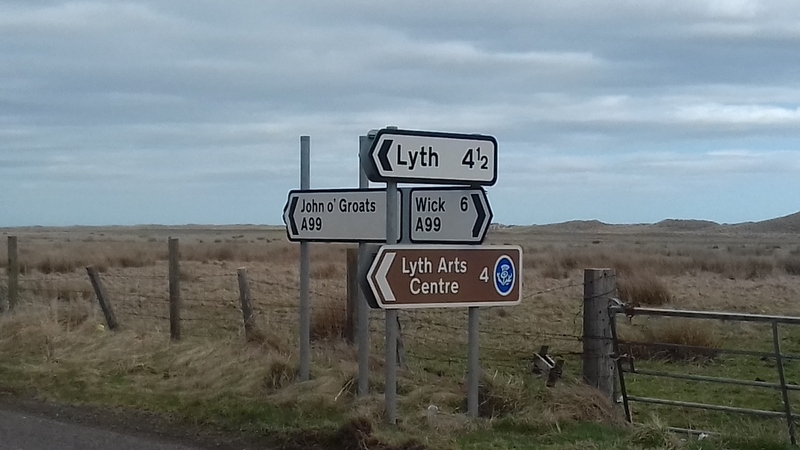 Because we were playing at the Lyth Arts Centre near Wick at lunchtime the following day (some 180 miles away), we had to do some of the journey after Clatt. 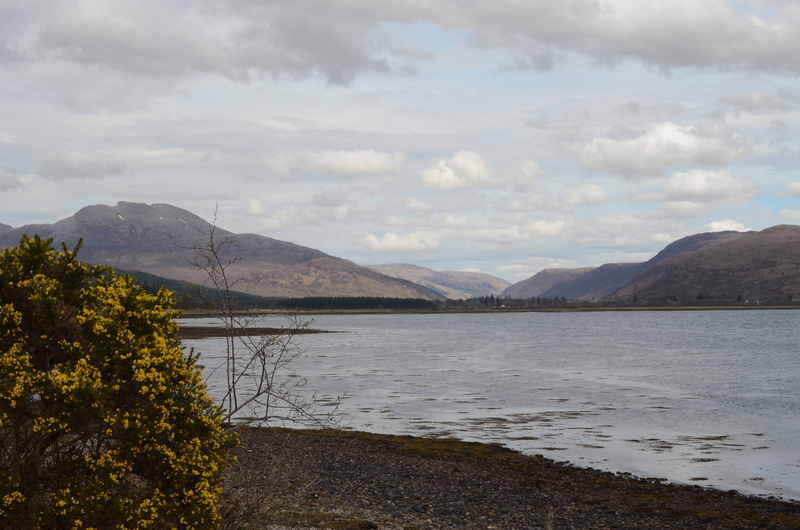 We had arranged to stay in Tain (107 miles up the road) and got to bed around 1.30am. We then got up early and headed on up to Lyth. 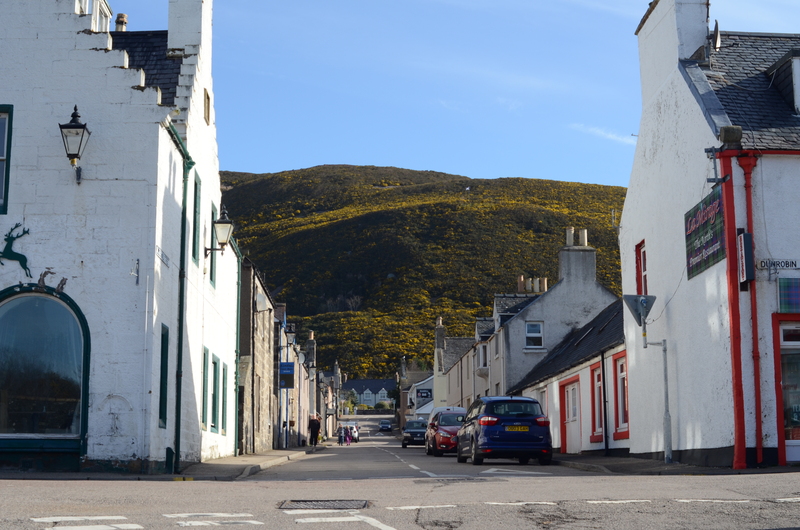 We stopped in a cafe in Brora. There was a “specials” blackboard inside. It said: “Special of the Day – chips £1.50“. Welcome to Scotland!!! 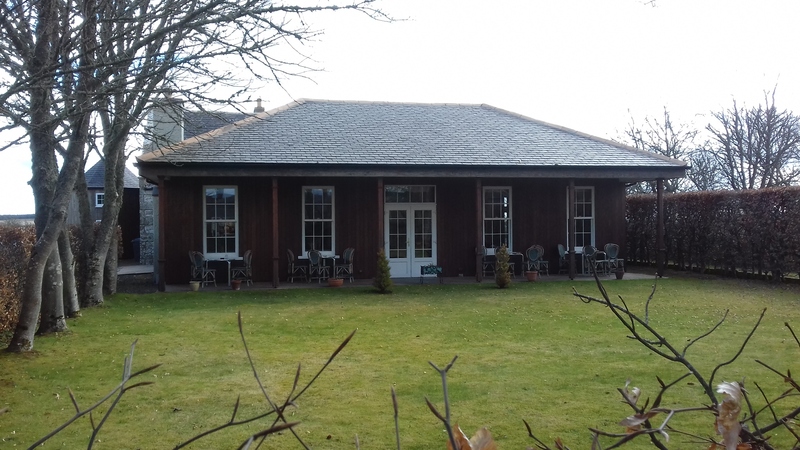 We arrived at Lyth Arts Centre to the sound of the Steinway Grand Piano being tuned for us, and we were welcomed by the very friendly team of Charlotte, Tom & Bobby. 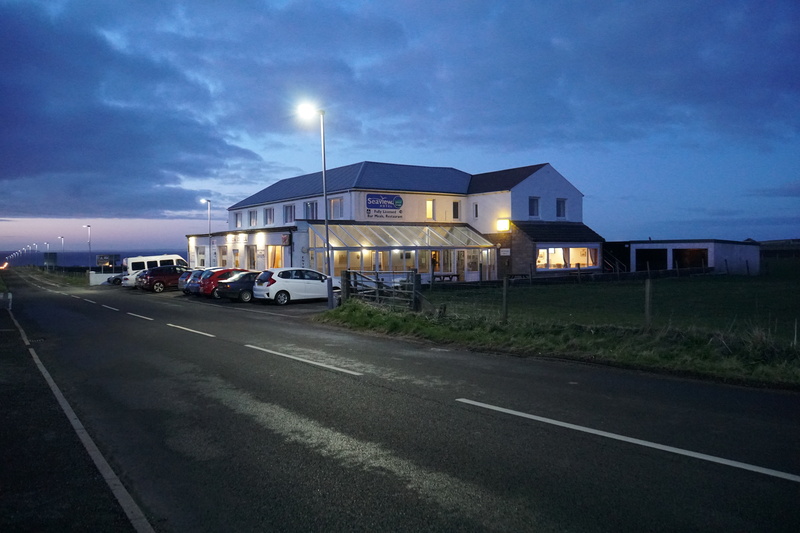 Its a fantastic venue and Bobby did us proud with the lighting. 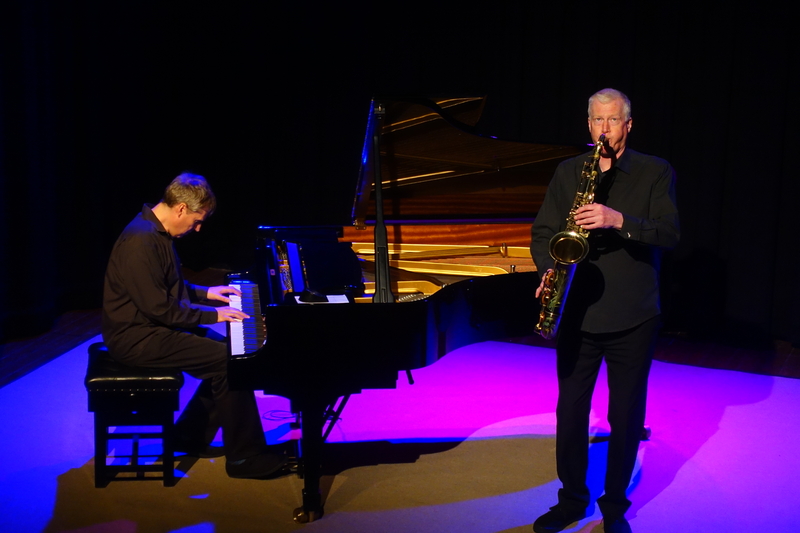 He took some really fantastic photos of our concert for us too (see below). 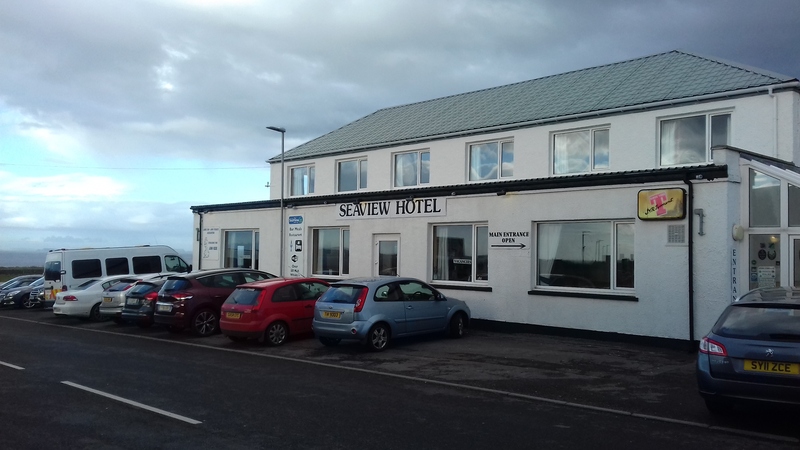 After a delicious home cooked vegetable lasagne and fruit salad in the dining room, we headed on up to the Seaview Hotel at John O’Groats (less than 20 miles away) to do a sound check and set up for our performance in the 1st John O’Groats Book Festival. I’m looking forward to exploring the works of some of the other authors who were at the Book Festival too. 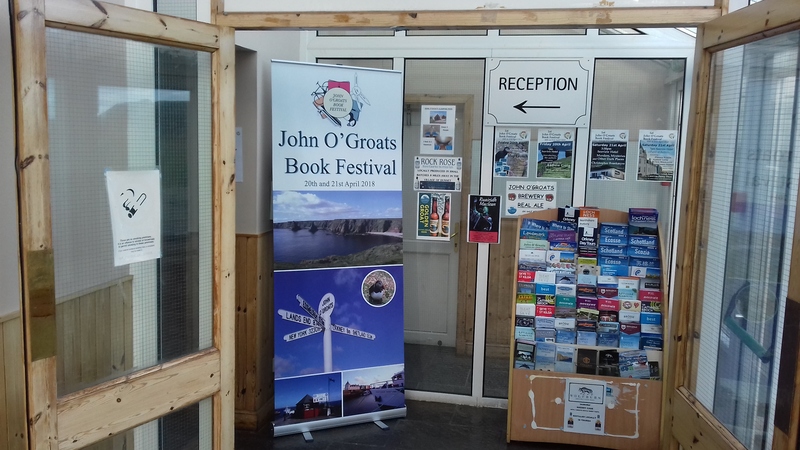 Some of the authors at the JO’G Book Festival talked about Caithness “getting into your very soul“. Even after our all-too-brief visit, its still very much in our minds. The scenery is just amazing. “Big Skies, Big Landscapes“. 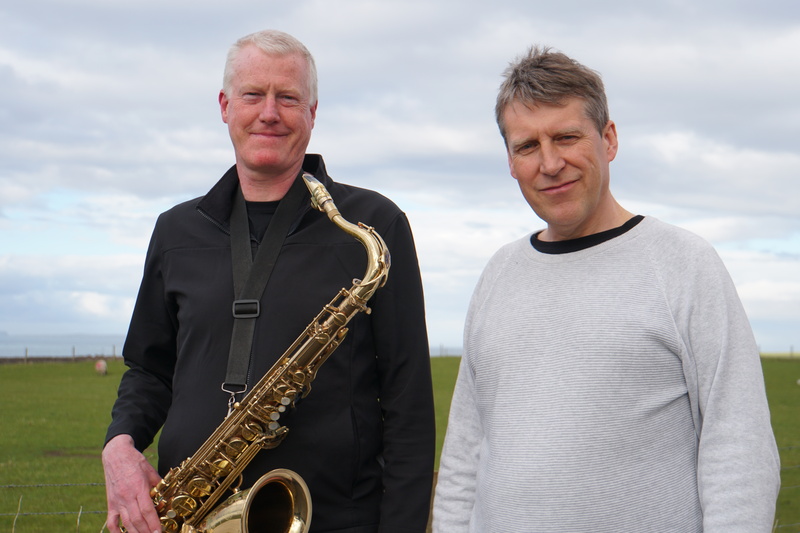 And incredible tales of WWI and WWII and its effect on the people of Caithness and Orkney. 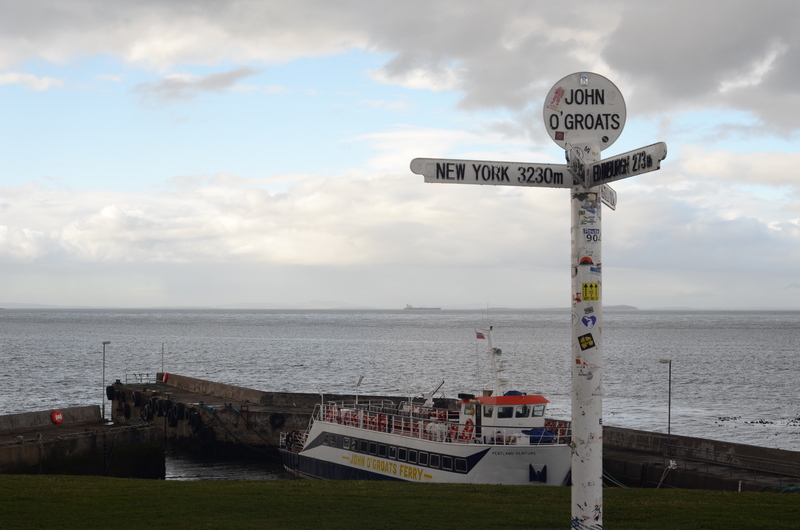 I may have to write a tune…..
Dom’s grandfather (on his mother’s side) was born in Wick. As was Dom’s great grandfather and great, great grandfather and beyond. 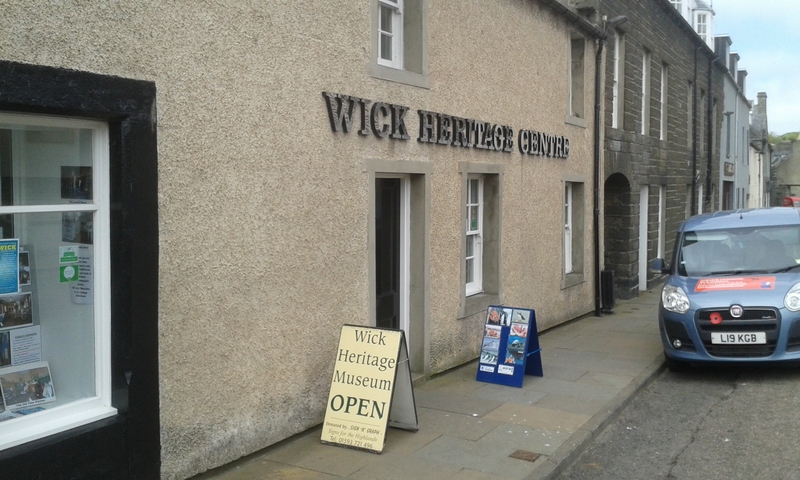 In fact, Dom’s great grandfather was born in the very house that the Wick Heritage Centre is now in. So you can visit the rooms he lived in. 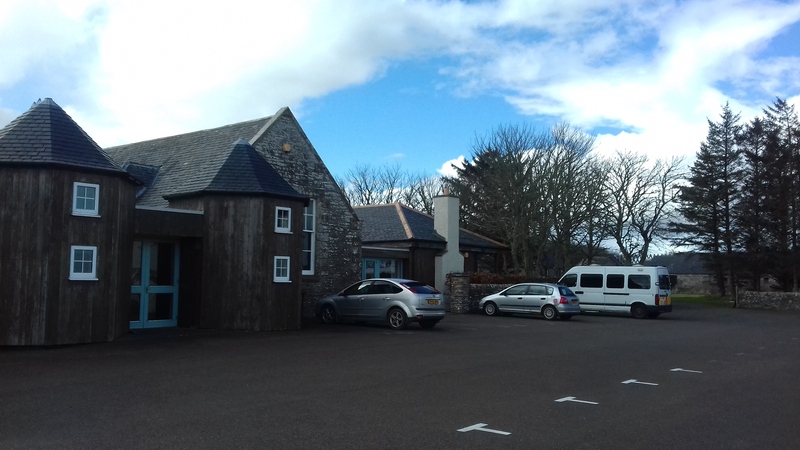 Co-incidently, Dom’s mum had sent her father’s baby clothes to the Wick Heritage Centre, and it turns out that it is run by Ian Leith, who was also running the JO’G Book Festival (along with Walter from the Seaview Hotel). Serendipity! 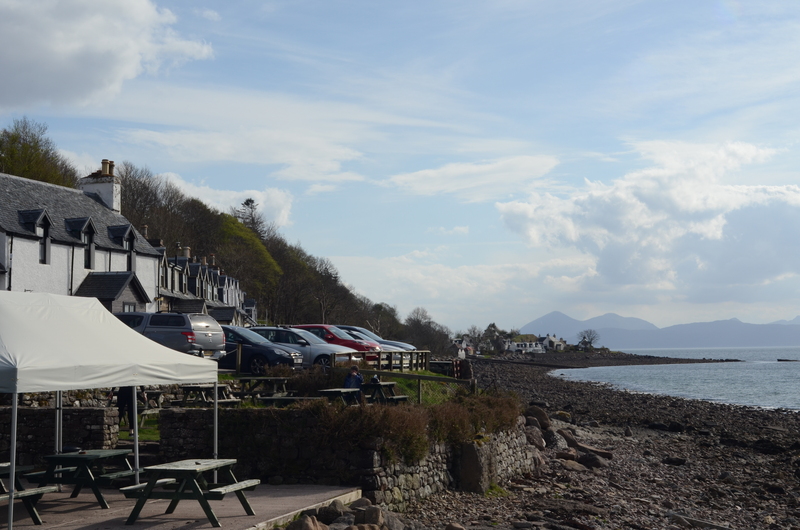 The 4th gig of our trip was the next evening in Applecross, some 150 miles away(!). So again we had to get some of the distance covered after the JO’G gig. 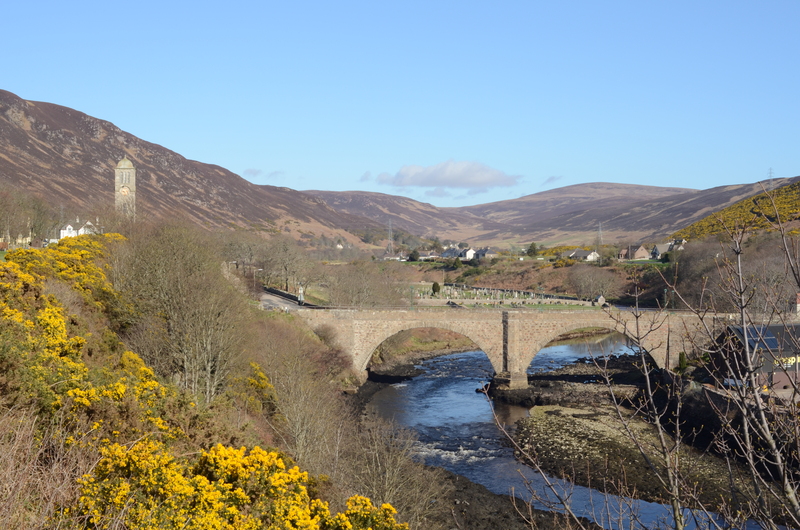 We stayed the night in Helmsdale, about 52 miles down the east coast. 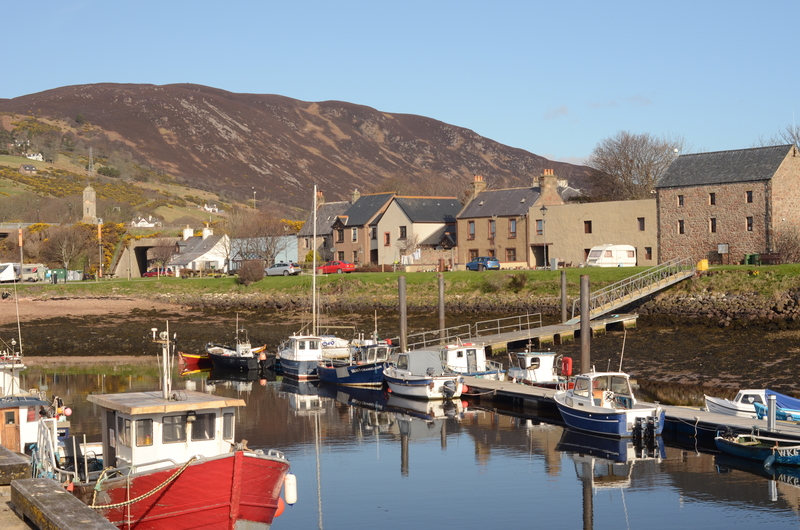 Its a beautiful little coastal town, with a scenic wee harbour. 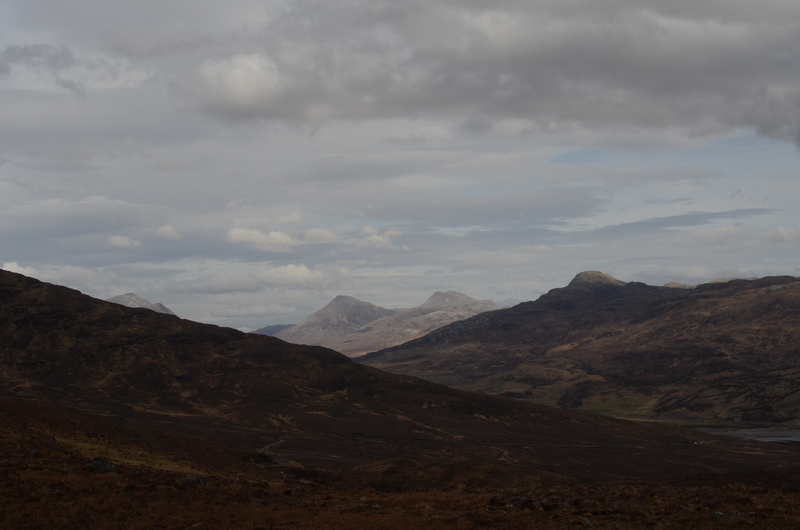 The next day (Saturday) we headed off early, to Applecross on the west coast near the Isle of Skye. Another day of glorious sunshine! 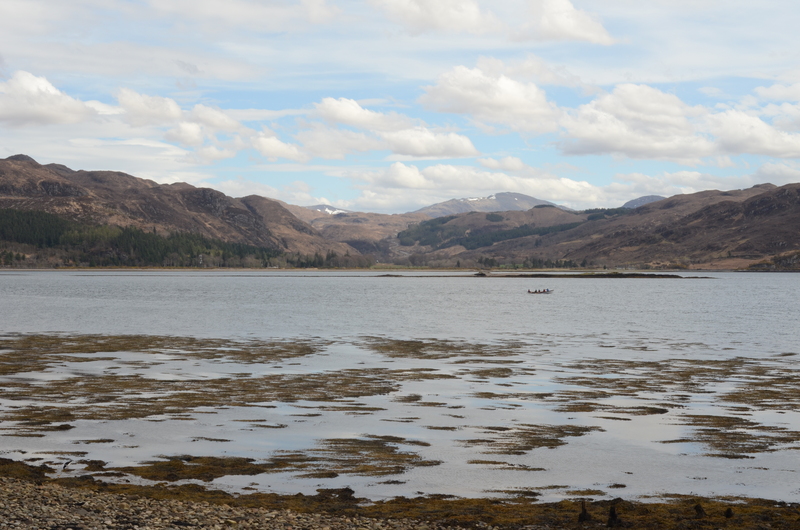 And another day of stunningly beautiful scenery. 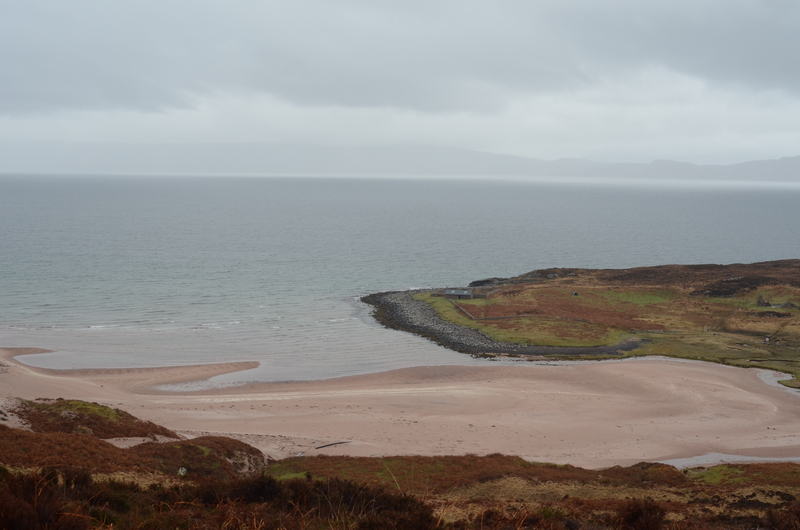 The road into Applecross is very dramatic. 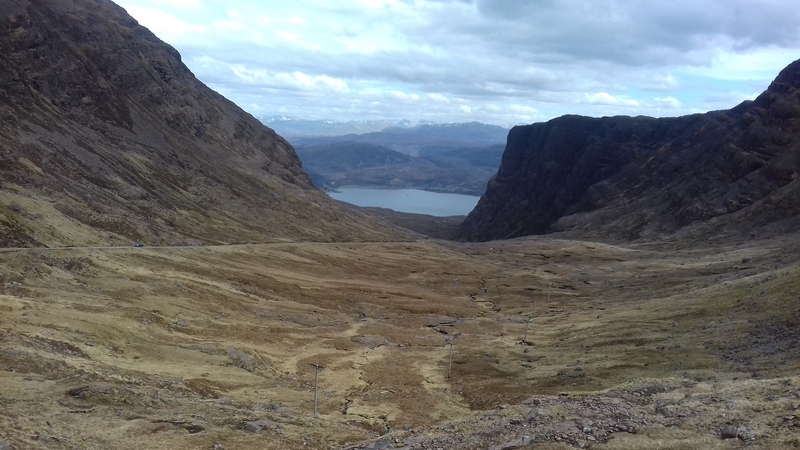 Its called the Bealach Na Ba and is considered one of the most scenic drives in the world. 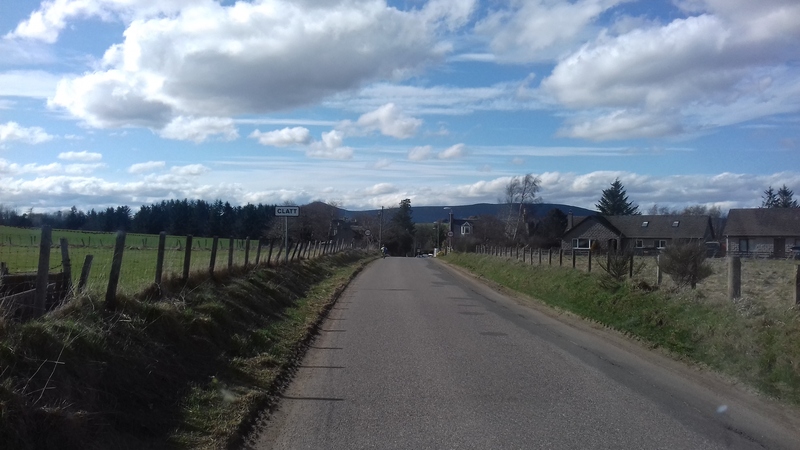 It’s a single track road with passing places. It is over 10 miles long and rises to over 2,000 feet. Very (very) steep in places. Very large drops very close to the road. And some very tight hairpin bends that switch back & forth up the hillside with gradients approaching 20%. Not for the faint hearted – especially in a van (our Tour Bus!!!). 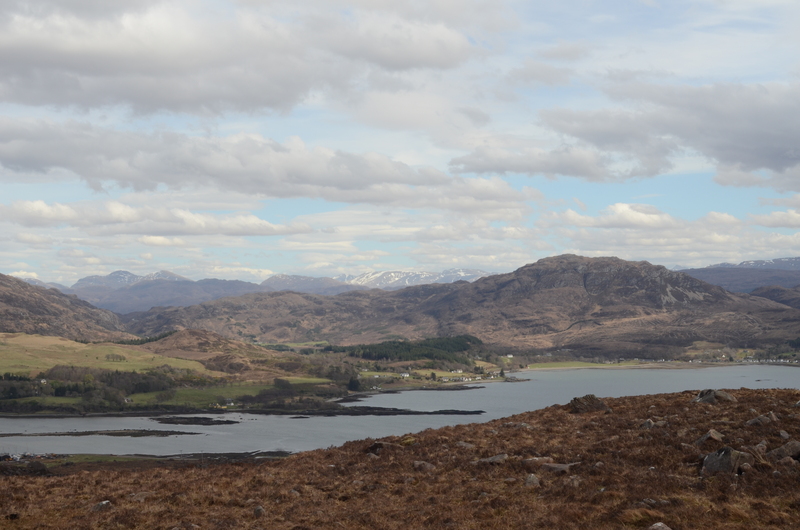 If you can open your eyes for a split second, the views are amazing! 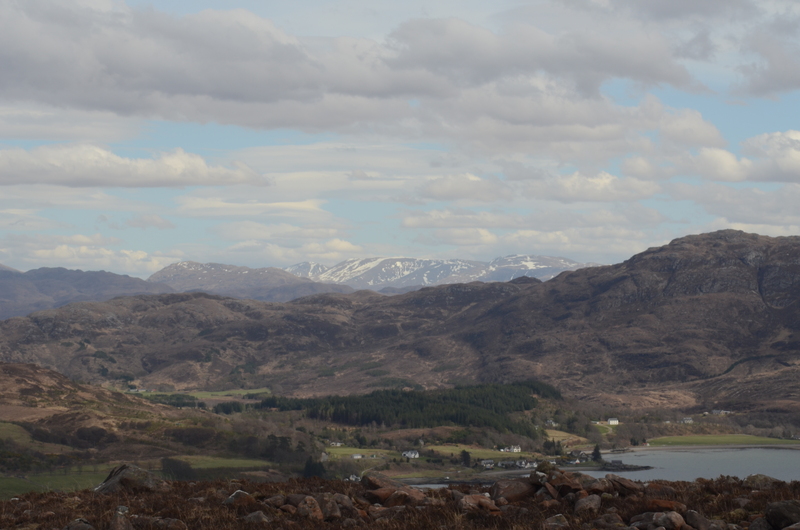 Bealach Na Ba (The Road to Applecross). 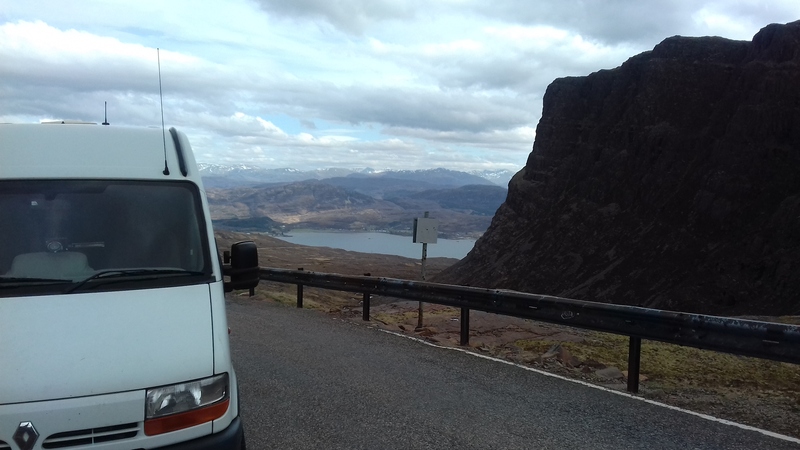 I feel another new tune coming…..
Our Tour Bus takes a breather on the Bealach Na Ba! 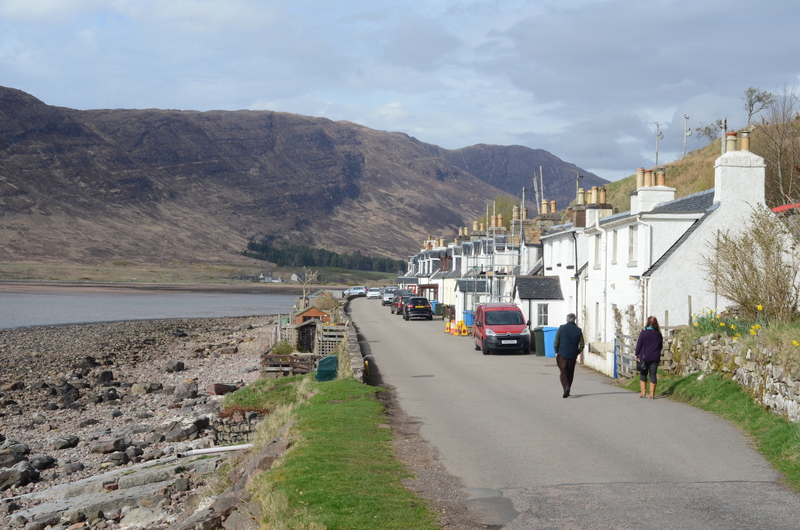 Once you get into Applecross Main Street, however, it’s all worth it. 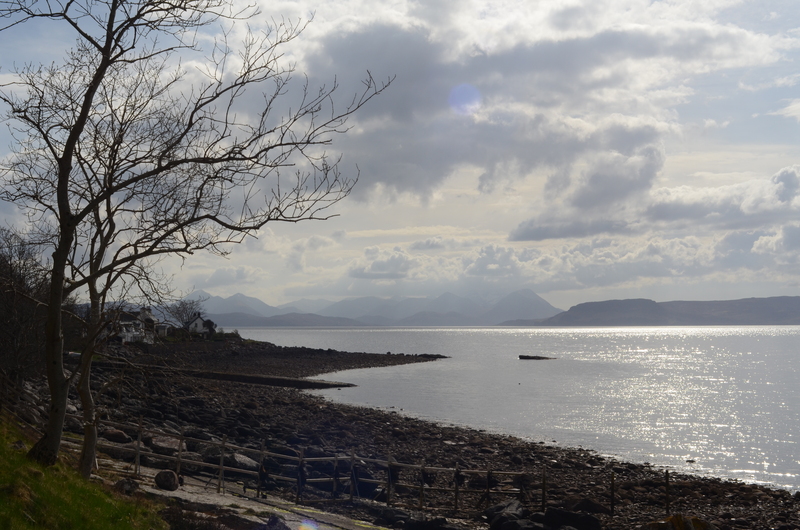 A beautiful wee coastal village with a pub and a row of white houses, and a view of Raasay, and the Cuillins on the Isle of Skye. 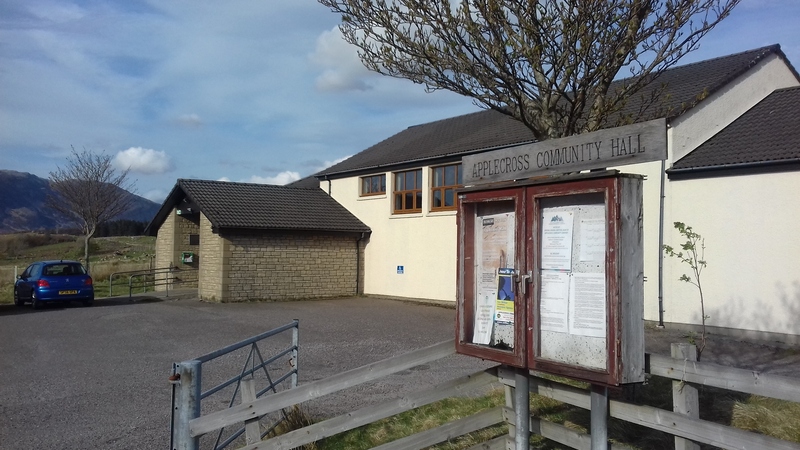 Our gig at Applecross Community Hall started at 8pm and by 5 to, there were only 2 people there. 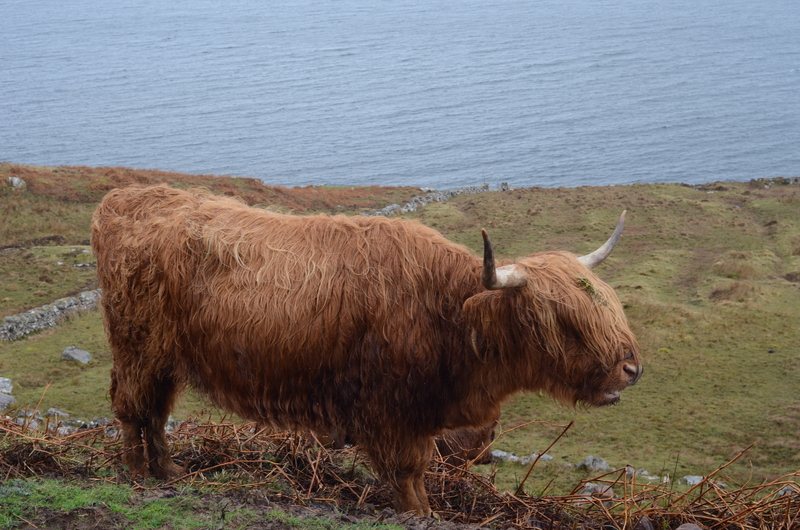 We started to worry, but Rhona McPartlin assured us that the locals follow “Applecross time” and would turn up! 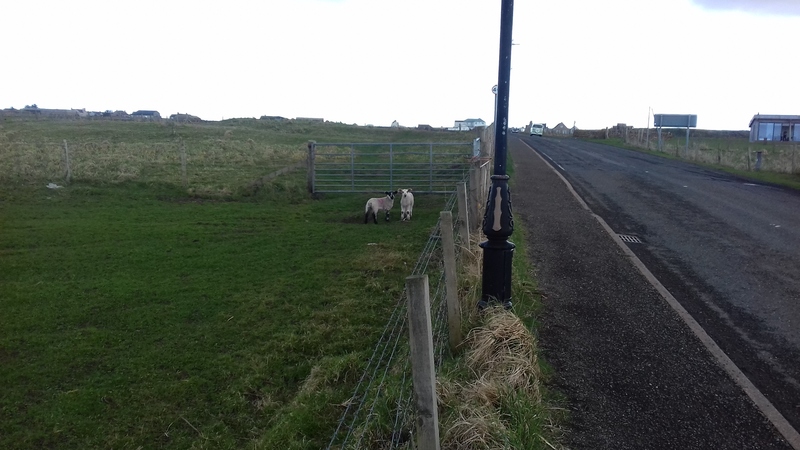 Sure enough, as promised, they turned up. They were a very appreciative crowd indeed! (And very, very friendly.). 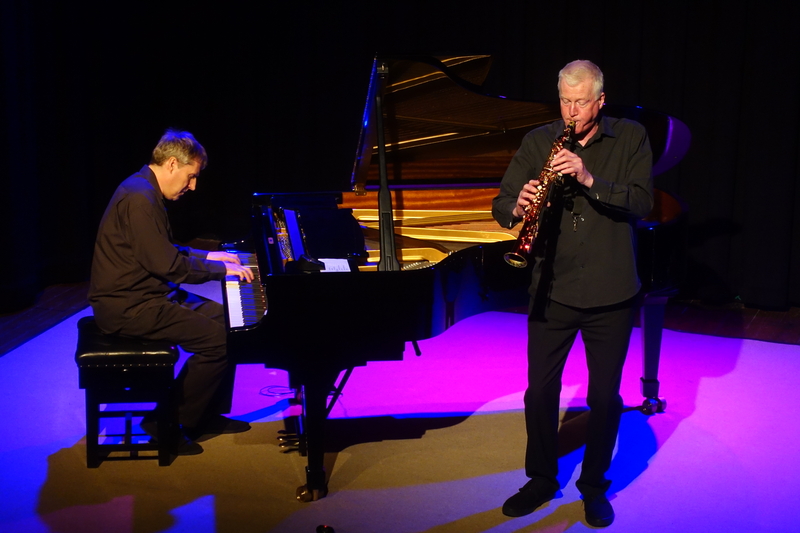 We really enjoyed our gig there (and our encore!). It was a fitting end to the 4 concerts. 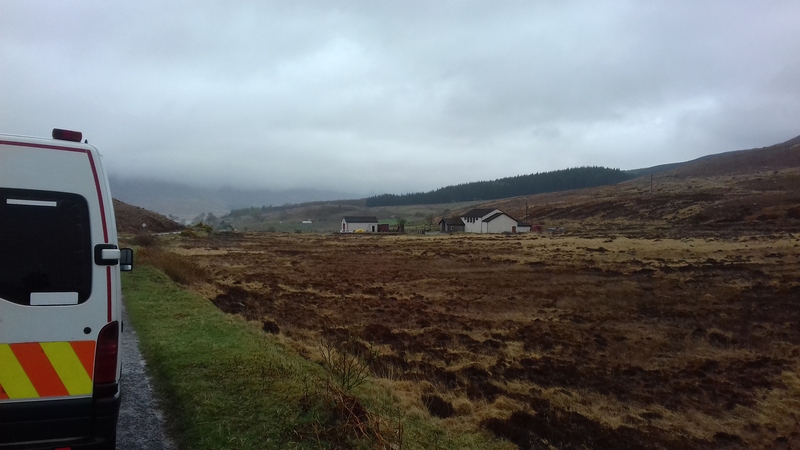 We stayed in Applecross that night and caught up with some very much needed sleep……..after a glass or two of red wine, of course! 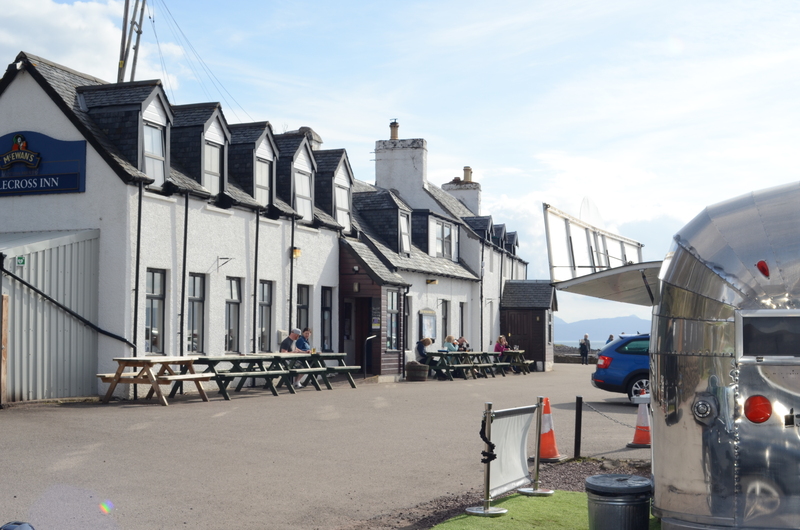 We had breakfast in the Walled Garden Cafe the next morning (as recommended by the owner of the Applecross Inn’s best friend). Unfortunately though, we were swamped by 20 or so Porsches, McLarens, Lamborghinis and Ferrari sports cars. 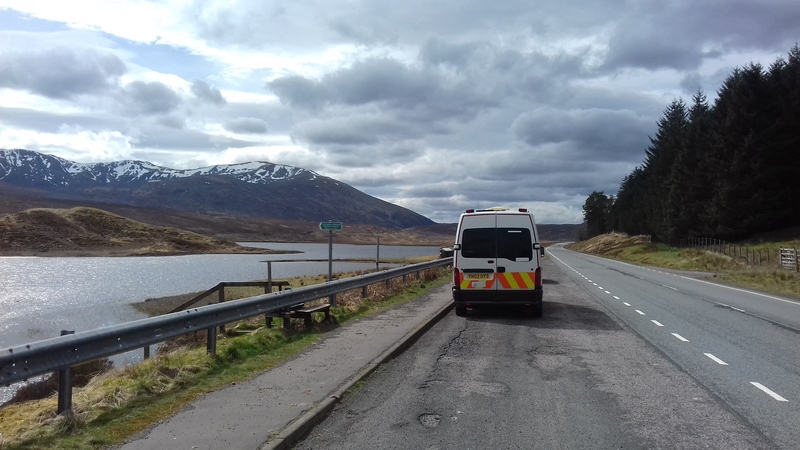 It seems you can hire them and drive around the North Coast 500 in convoys. 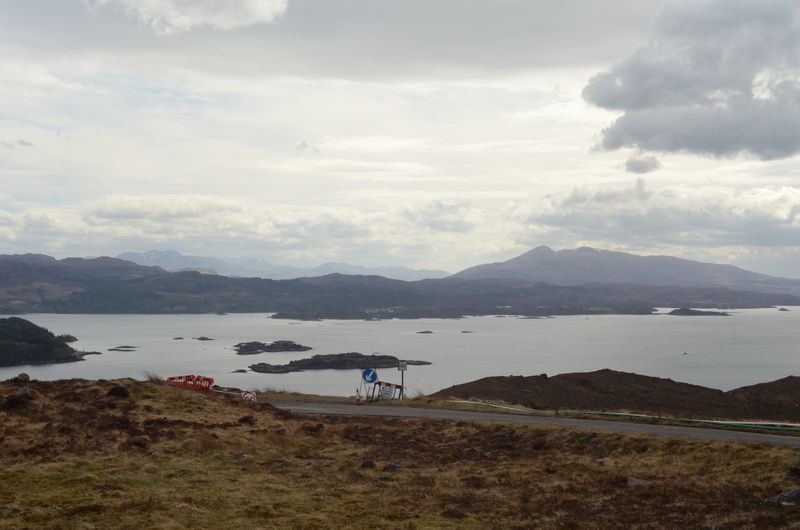 We passed 5 or 6 of these convoys on the way out of Applecross on Sunday morning (or rather they passed us!). Mmmm….. 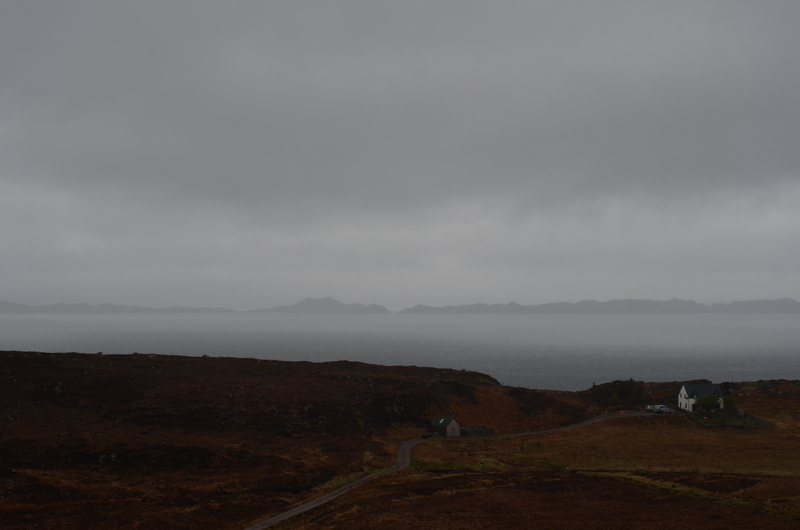 The weather was a wee bit dreich on the 235 mile trip home, but we weren’t complaining. 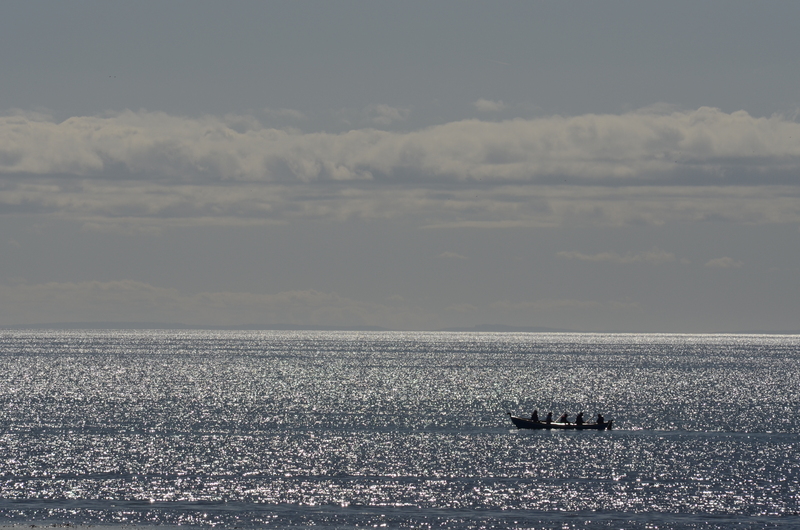 Three days of great weather, and some very, very nice memories. I have to keep pinching myself that this is our job. 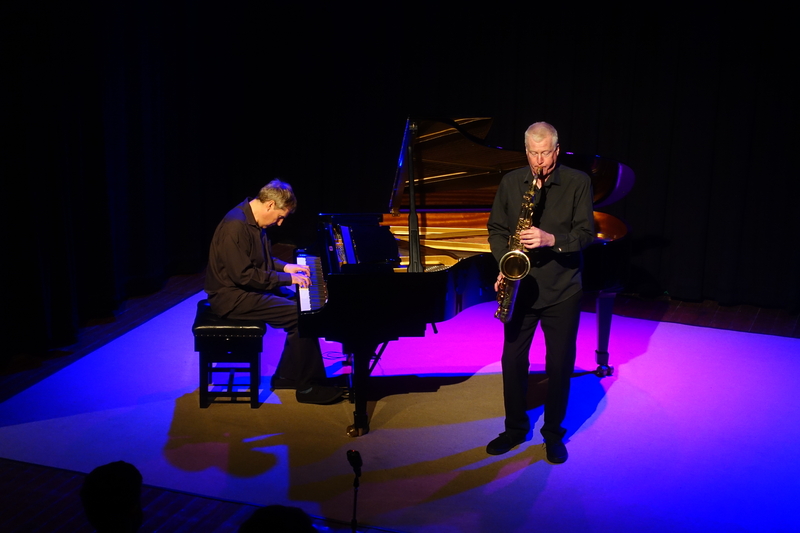 We’re lucky enough to have the opportunity to develop our musical improvisation skills and perform concerts all over the UK. 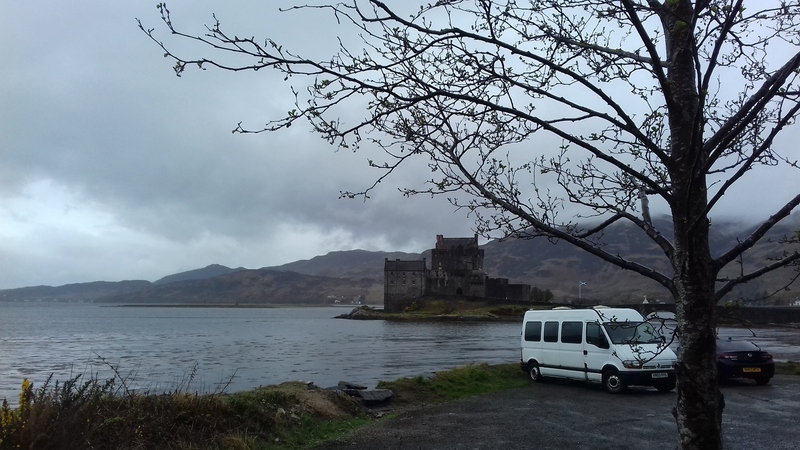 We see amazingly beautiful scenery and places and play in some lovely venues. Really, the best part though, is the people we meet. You remember them for a very long time, going way back. They make it. Aren’t we lucky?! 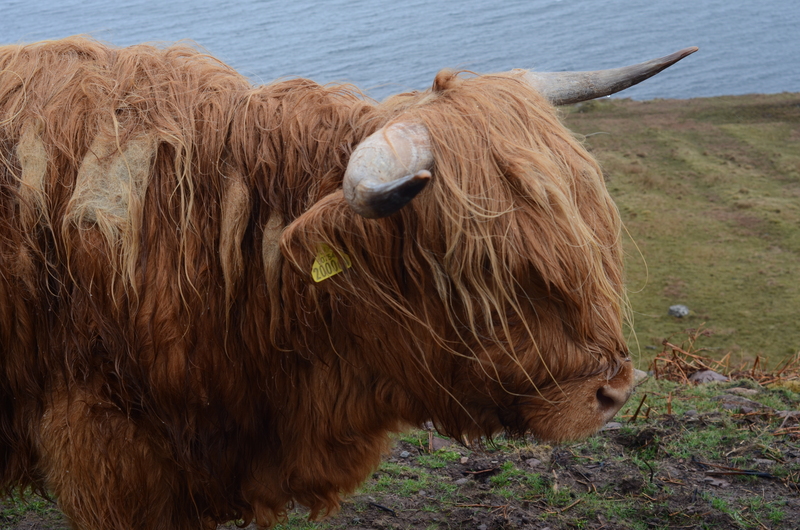 They look fierce, but they’re very docile really!